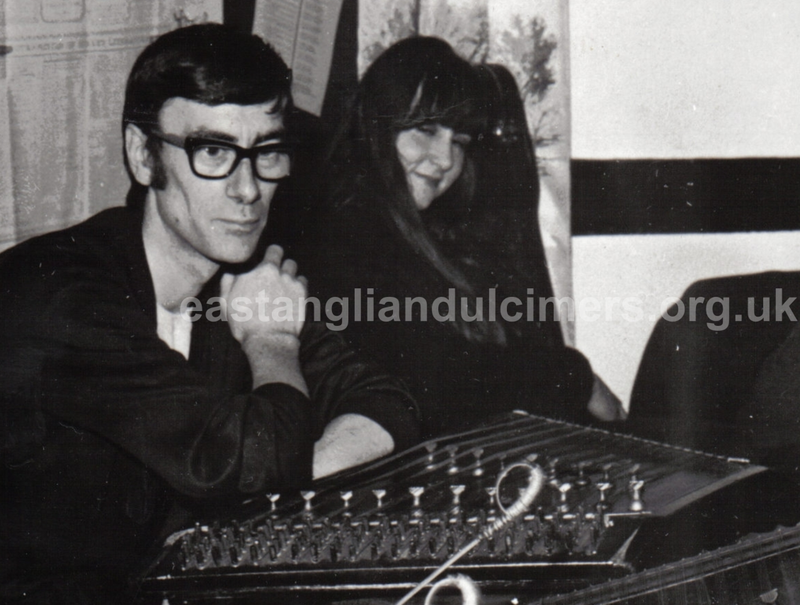 Little is known about Brian Rodger apart from that he worked in Norwich as a nurse. He did however meet up with Billy Bennington which is apparent from the Eastern Daily Press photograph. Brian's dulcimer was of typical East Anglian design with four strings to a course and twenty chessman bridges and he played with cane beaters. 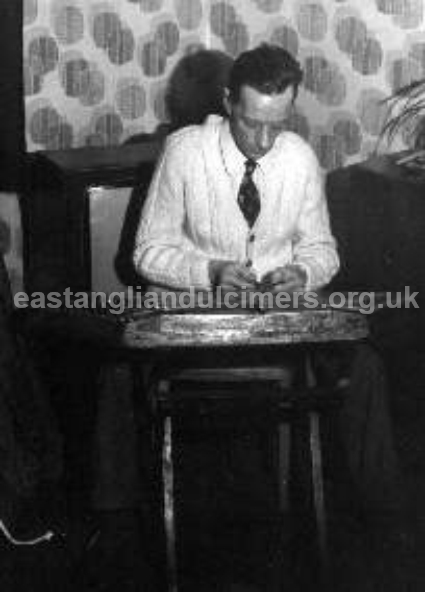 His father, Jimmy Rodger, was from Glasgow, and had moved from one dulcimer area to another - Great Yarmouth. David Kettlewell interviewed him in 1975 but by then he had stopped playing regularly as the dulcimer 'did not contribute to domestic concord'. His instrument and style of playing was more Scottish rather than East Anglian, with fixed interval bridges, although he had extra half-notes added to make it partially chromatic. He used hard wooden hammers. 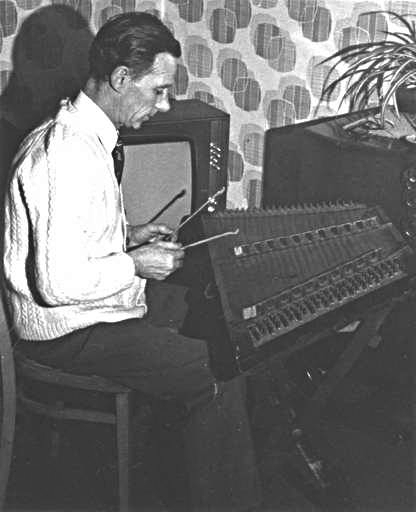 Jimmy had also played accordion and melodeon, and told Kettlewell of the shop of M. Golumb and Sons at 30 Saltmarket, Glasgow, which had specialised almost exclusively in dulcimers and accordions, and from whom he bought a Dallas dulcimer tutor. He used to play with Peter Jackson's band, which had six accordions, a drummer and a girl singer; his repertoire was a mixture of popular melodies, with more well-known Scots dance tunes. 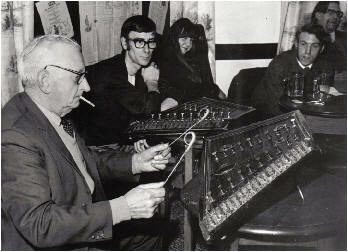 Jimmy Rodger was recorded by David Kettlewell 1975.